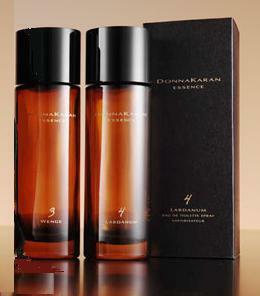 Donna Karan Essence is a collection of four of Karan’s favorite “bare scents”, Lavender, Jasmine, Wenge, and Labdanum. These are clear-cut, single-note fragrances that can be worn on their own or layered according to the wearer's desires and tastes. This review is for Wenge and Labdanum. According to Donna Karan, this is one of her favorite scents; in fact, wenge was one of the notes in her rather popular Black Cashmere. Wenge or Wengue is a wood native to Africa, where it has been used for centuries to craft ceremonial masks and statues devoted to gods. There is certainly something mysterious and uplifting in the spicy smell of Wenge. It is centering, comforting and relaxing; a warm, resinous fragrance that is not overwhelming or heavy. I adore the serene subtlety of this woody accord. Even though the wenge note was used in Black Cashmere, I do not find Wenge the fragrance very similar to that scent. Black Cashmere is a strong, forceful blend, rather heavy on incense, while Wenge is an understated, enjoyably minimalistic composition. 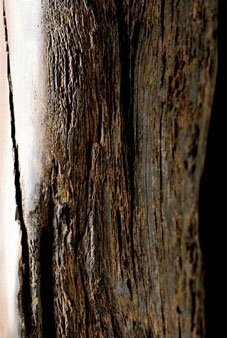 If I had to compare Wenge to another perfume, it would be Donna Karan’s sadly disconitnued Chaos. Both share a tranquil, spicy-herbal-woody quality that I find extremely appealing. Unsurprisingly, Labdanum and Wenge layer beautifully together, after all, a mix of spicy wood and balsamic, incense-like labdanum is a union made in olfactory heaven. If I had to choose only one Essence (and I should, considering the price), it would be Wenge whose subtle and spicy woodiness I absolutely adore. Both Labdanum and Wenge can be found at Neiman Marcus, where 100 ml Eau de Toilette sprays cost $165.00. The Essence fragrances also come in a set of four essential oils in a leather pouch (7.5 ml each), as essential oil vials in a leather pouch necklaces (7.5 ml), as body lotions (200 ml ), and as scented candles. *The images of wenge and labdanum are from donnakaran.com. I've gotta get back over to the NM and smell these. You and Patty make the wenge sound especially enticing. I also like both of these but haven't tried layering them yet.I do wish they made these in an edp formula because they become faint after a short period.I have the wenge oil and should try to layer it with the wenge to see if that makes it last any longer. M, Still haven't tried them! Was told at Bloomies that they were already sold out, but that can't be, can it? Will have to get over to NM. I love these two so much. Layering Wenge with Rose de Nuit is amazing, too. Like some resinous dark rose, it is. In fact, about any of my darker woody scents go great with Wenge and/or Labdanum. Makes them feel like nose hugs. I know I got the last bottle of Wenge about three weeks okay at the big NM in Dallas, but I suspect they should be restocked soon if not already. Nose nugs!!! I am going to use this phrase all the time, I might as well warn you straightaway. Nose hugs. This is great. I was disappointed, especially given the crazy high prices. In this case, I simply could not justify $165 for merely nice soliflores, when this money could buy me a bell jar of Lutens + a small bottle of something else. Or a large bottle of Ambre Narguile. Or a bottle of anything that will last for more than 30min on my skin. Sorry for a grumpy comment. :) I had such high hopes for these. You've been tagged! See my blog for instructions! I promise to post mine on Saturday! I have to admit the Wenge sounds intriguing, though the idea of that price for such a simple affair does scare me some. At some point this month I'll have to make the trek into the zoo of downtown traffic to my Nordie's and see if they have this one. 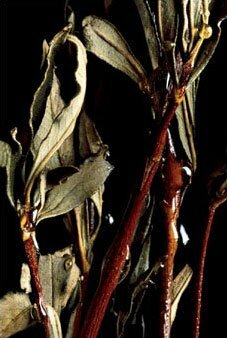 "Balm of Gilead" - now you've got that old song in my head (do you know it? The old spiritual? Very beautiful, a hopeful and elegant song that always makes me feel peaceful and smiling.) Don't know that I might care too much for the Labdanum, though, at least not for the price. Still, will check it out with the other at Nord. Any cheaper, but mysterious winter scent, anyone ?